Are you ready for Christmas? I think I am… maybe. 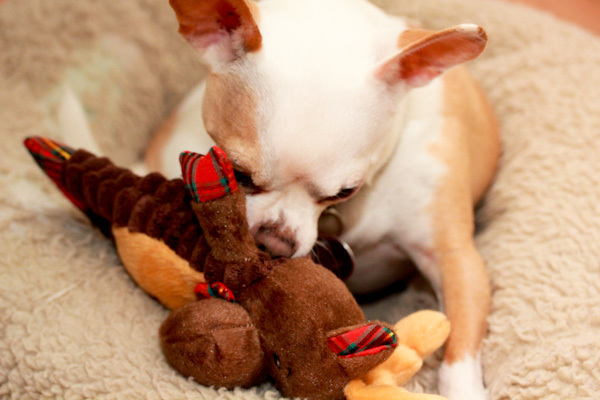 Miko is with his new reindeer toy. 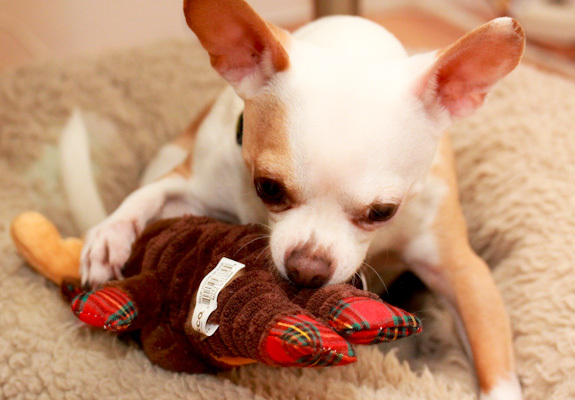 Stuffing started coming out of his last toy and this little guy is heartbroken if he doesn’t have a favorite small toy to play with. So I caved and gave him one of his Christmas gifts early and he’s not letting it out of his sight. And having a ball playing with it. 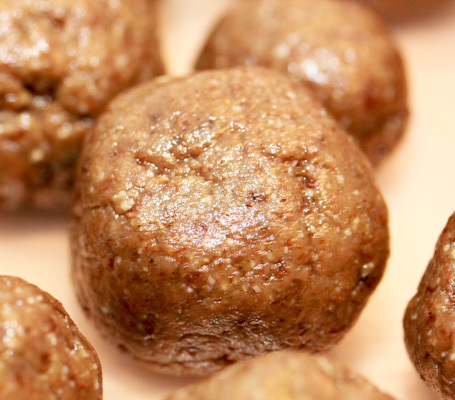 I decided to make more dessert balls using two new NuNaturals products – NuNaturals Pure Liquid Vanilla Stevia Alcohol Free and NuNaturals NuGrain Oat Fiber. 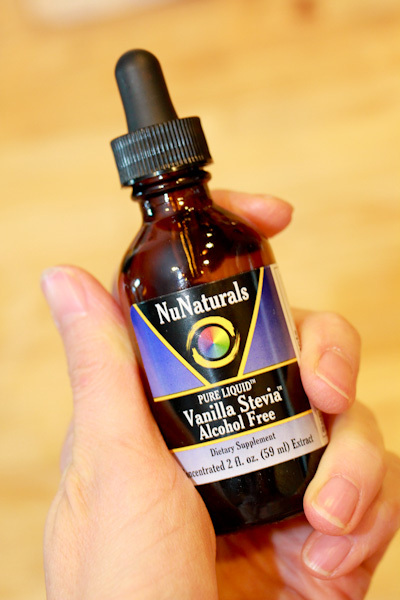 As NuNaturals claims about this vanilla stevia, it’s not simply vanilla flavored stevia, it’s a high quality vanilla extract sweetened with stevia and great for baking or simply adding a little vanilla flavor to coffee, smoothies, etc. 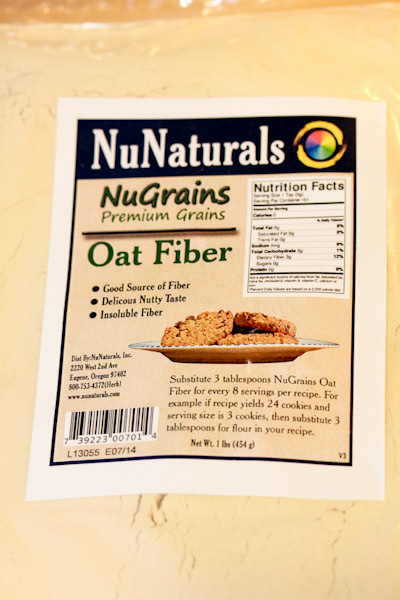 This oat fiber is a very new product for me to try, it’s a fine ground fiber from oat hulls that has no calories, but adds fiber when substituted for a few tablespoons of flour for baking. The texture and color look exactly like flour. But I’m not really a baker, more of a raw dessert type of gal. So I added these products to a high raw vegan dessert ball recipe with a little holiday spice. 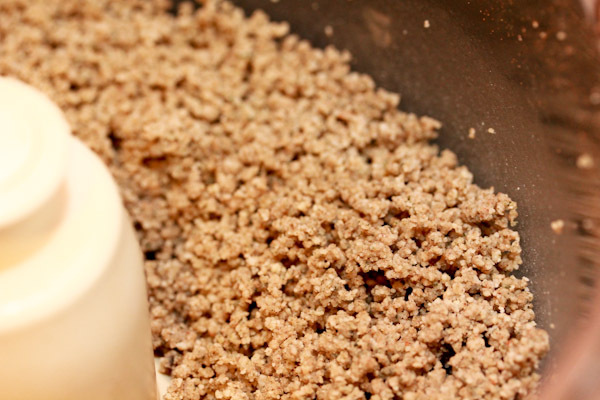 The oat fiber adds in like a flour and blended nicely into the mixture without clumping. 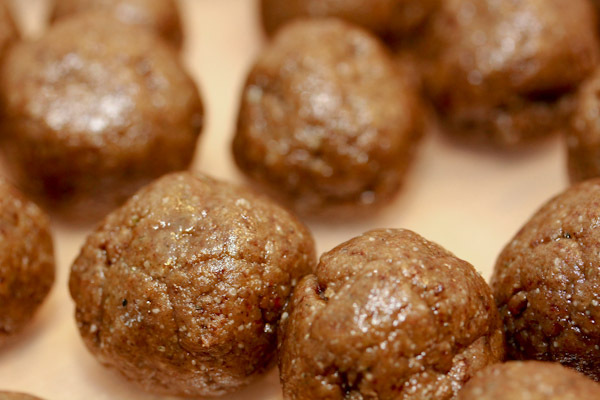 The balls have an interesting brownish color, but a wonderful gooey texture. 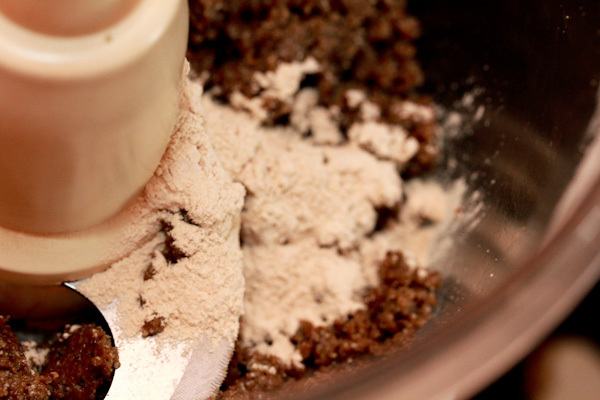 The flavor is sweet with a slight spiciness and warmth from the cinnamon and nutmeg. You could make a batch for a party or potluck. Or just for yourself to stash in the freezer for a quick treat. 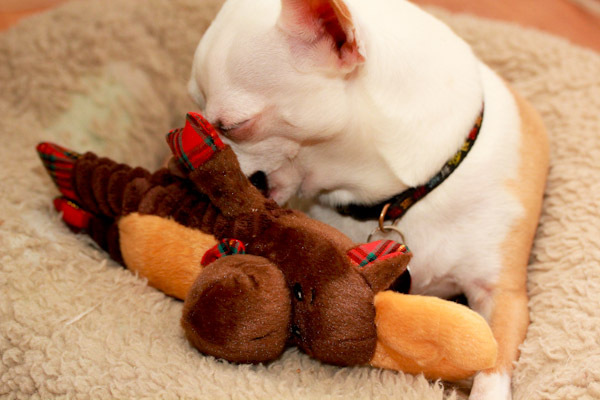 Miko is so cute I love it when the gnaw on a toy and they close their eyes. The oat fiber is interesting, I will be trying it in smoothies too for a little added fiber and thickness. Persimmons are awesome in smoothies, I’ll usually blend them with a little cinnamon, yum!